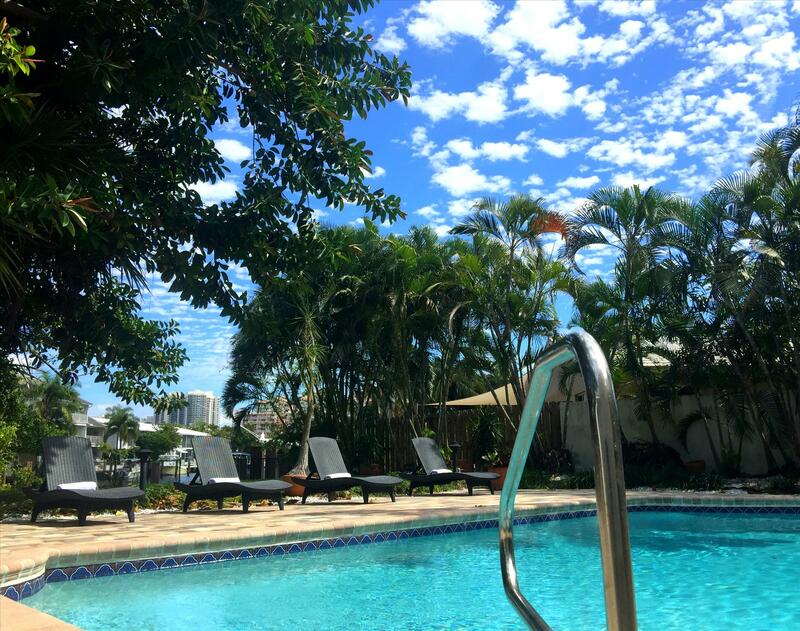 Welcome to Casa Allure! 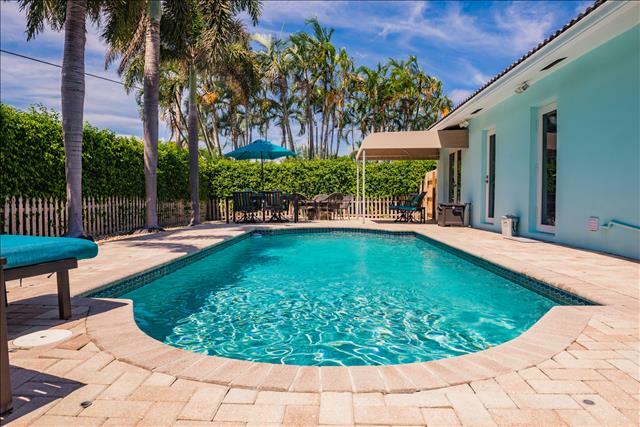 By The Sea Vacation Villas is pleased to offer this breathtaking 4 Bedroom 3 Bathroom HeatedPool (Waterfront) Vacation Home to the luxury vacation rental market! 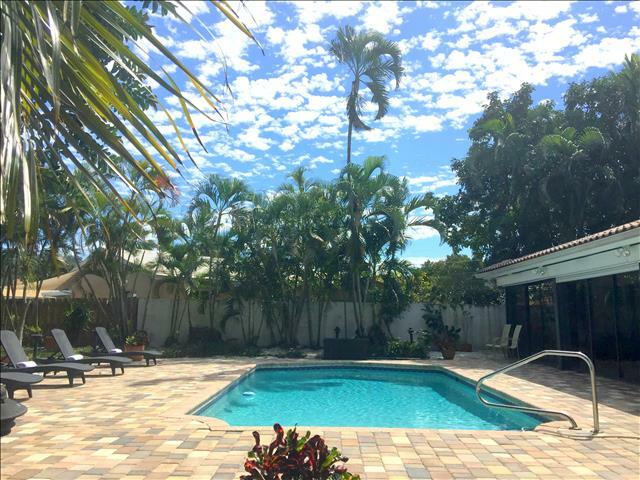 Located in the exclusive East Fort Lauderdale Beach community of Coral Ridge Isles, Casa Allure is conveniently situated near a multitude of first class restaurants, shops, entertainment (movies, theater, music, etc.) and, of course, the beach. The poolside lounge area reflects that of a luxury spa retreat and offers ample space for families and friends to gather and enjoy their time away. The poolside lounge area includes dining for eight (8), multiple poolside chaise lounge chairs, an outdoor (weather resistant) couch and a propane bbq. 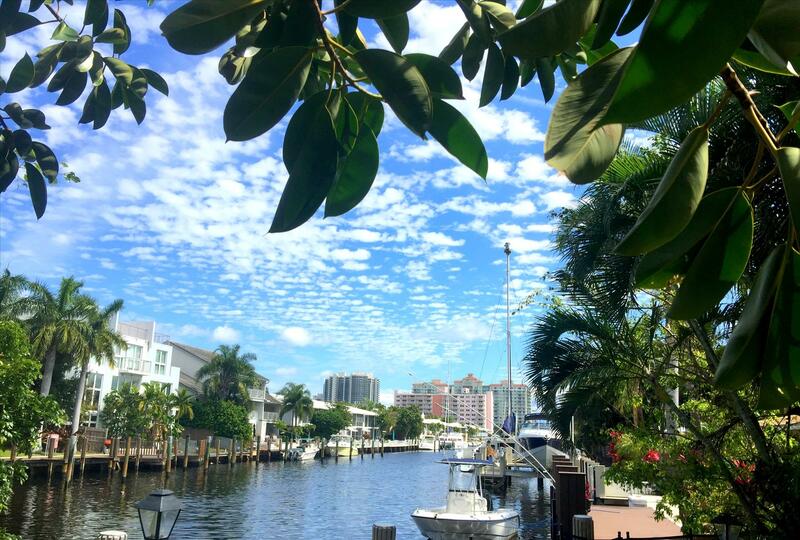 Oh... did we mention Casa Allure is also situated on the water? Please feel free to bring your fishing pole(s), as fishing is certainly encouraged from the private dock! 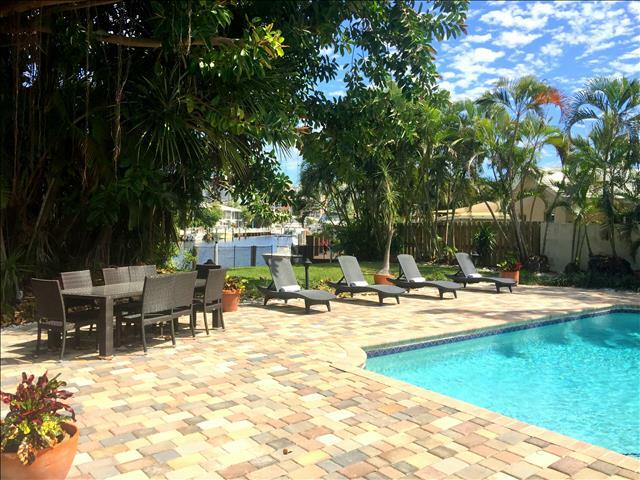 Upon entering Casa Allure, you are greeted by a spacious, open, living area offering direct, unobstructed, views of the outdoor heated pool and waterfront dock areas. Tile flooring lines the entire space of the home providing a rich, yet warm, feeling throughout. The open living area is equipped with two full-size sofas, two separate sitting chairs and a 60 Inch LED High Definition Television with DVD entertainment center for your enjoyment. 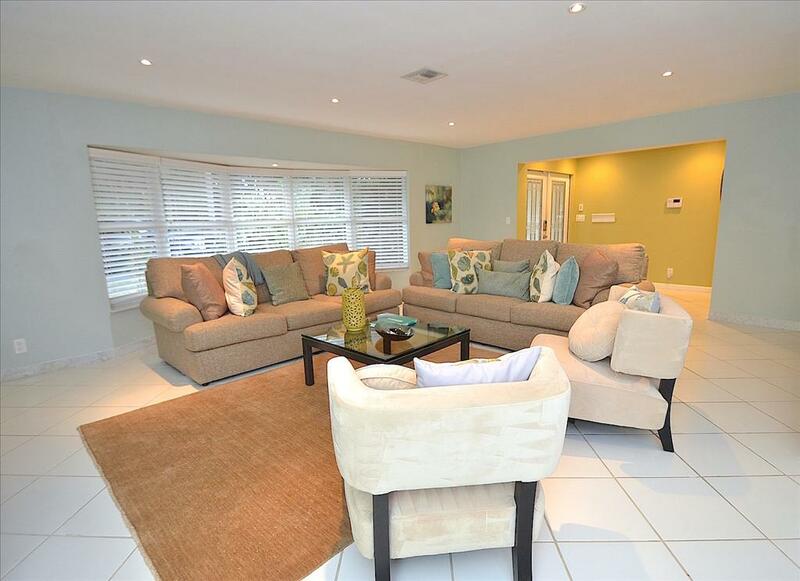 Situated immediately off the living area is a formal dining room with seating for eight (8). 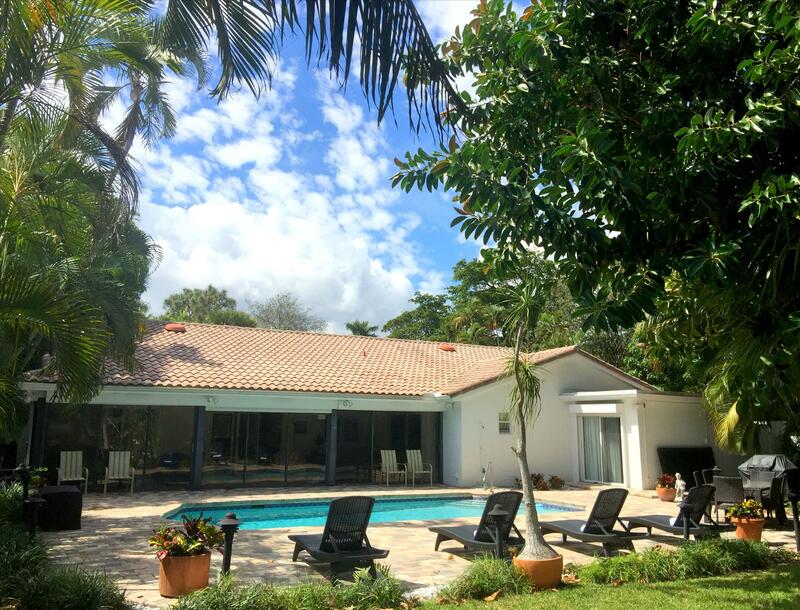 Should your group exceed eight people, please do not worry, for an addition to the formal dining for eight (8), Casa Allure offers a secondary dining table, situated off the kitchen, for four (4) that includes a LED High Definition Television. The spacious, not to mention open, granite kitchen is fully equipped and offers everything you will possibly require while on vacation. Simply bring your food, condiments, and beverages! 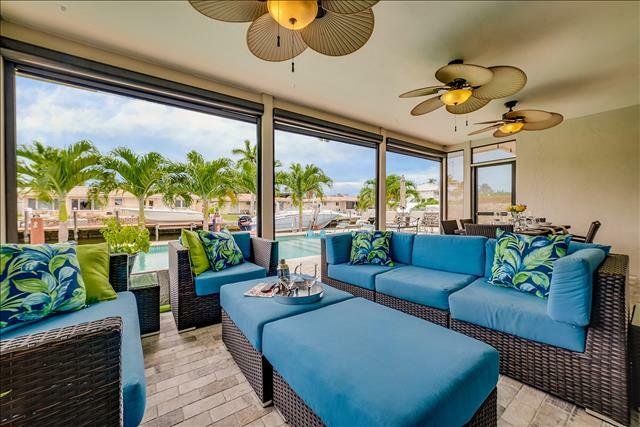 The open kitchen offers unobstructed views of the two (2) dining areas, as well as the outdoor heated pool and lounge area, including the waterfront private dock in the immediate background. The exceptionally private Master Suite Bedroom is a retreat in and of itself. 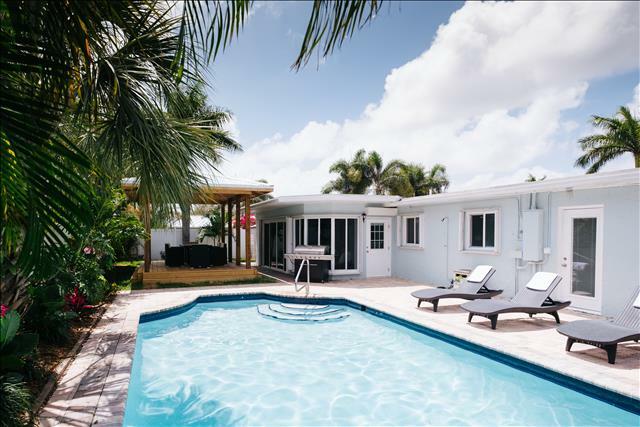 Equipped with a King Size Bed, the master suite offers a 60 Inch LED High Definition Television, as well as a sitting area, equipped with a futon sleeper sofa, that overlooks and offers direct access to the outdoor heated pool lounge area. The incredibly spacious master suite bathroom has recently been updated and offers one of the largest walk-in marble showers you will ever encounter! In addition, the master suite bathroom offers dual marble vanity sinks. Bedroom Two offers a King Size Bed, two nightstands, a full-size dresser and a LED High Definition Television for your enjoyment. 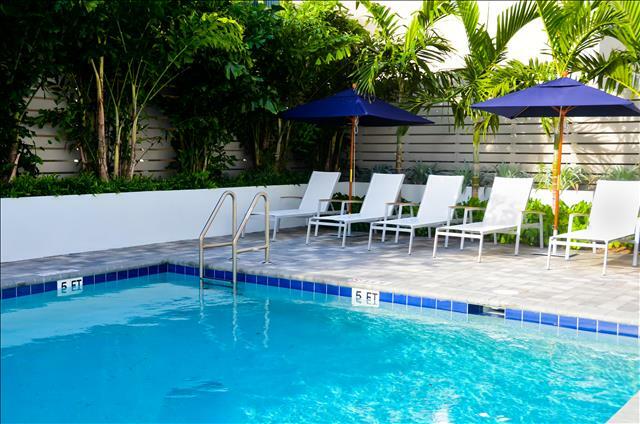 In addition, Bedroom Two Offers unobstructed views of the outdoor heated pool and lounge area. Bedroom Three offers a Queen Size Bed, two nightstands, a LED High Definition Television and a full size, en-suite, bathroom that has recently been updated with walk-in shower and a marble vanity sink! Bedroom Four offers Two (2) Twin Beds, nightstands, a LED High Definition Television and a full-size closet. 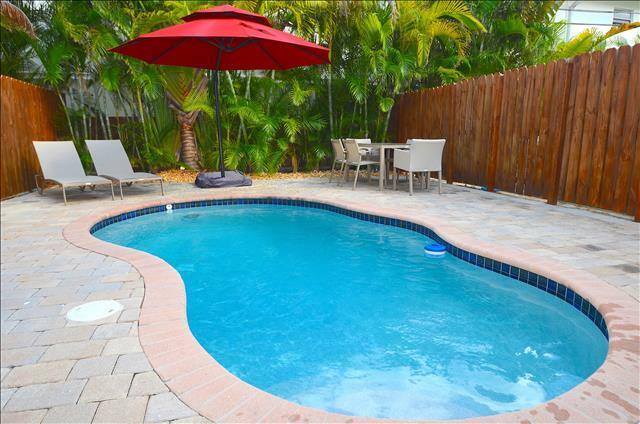 In addition, there is a breathtaking, full size, bathroom three that has recently been remodeled from top to bottom. Casa Allure is equipped with everything you will need while on vacation, including Cable Television and High-Speed Wireless Internet services. Casa Allure is the perfect vacation home for larger families and groups in search of a first-class private setting. 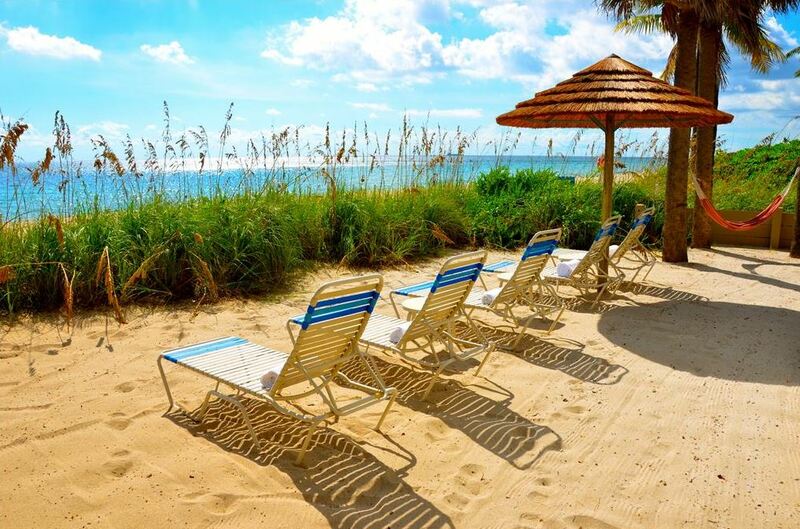 Please feel free to contact our knowledgeable reservation staff for any additional questions, or if you would like to reserve this spectacular vacation home! Really nice house, very clean. Exactly as showned in pictures. Perfect for 1-2 families (we were 2 families: 4 adults and 5 childrens). 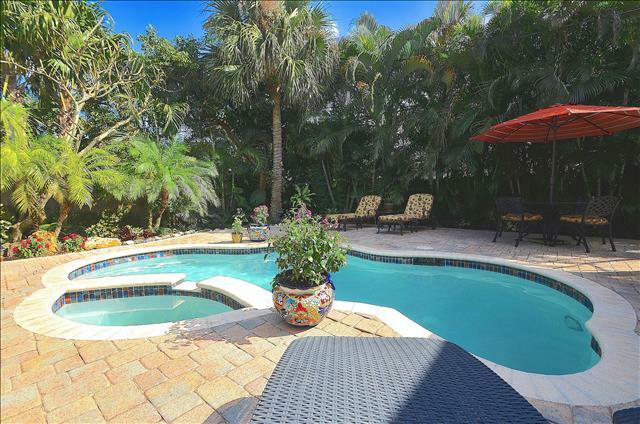 Nice pool ( they add a fence next to the pier prior to our arriv...read more. Casa Allure is located within, approximately, Two Miles (2) miles from picturesque Lauderdale by the Sea, within, approximately, Five (5) Miles from Downtown Fort Lauderdale, including Las Olas, within, approximately, fifteen (15) minutes from downtown Boca Raton and within, approximately, forty (40) minutes from Miami and South Beach.